PiXperience is the biennial nature photography event of Birdpix and Nederpix. 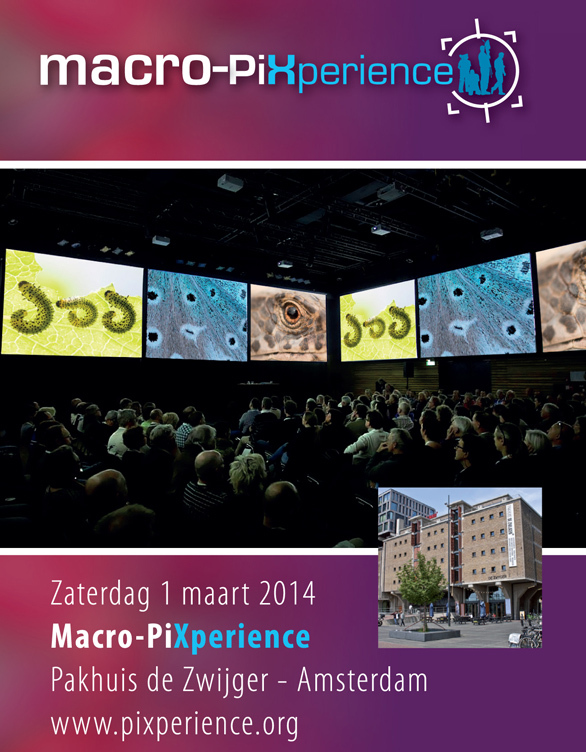 On March 1 2014 there will be a special Macro PiXperience which will be held in Pakhuis de Zwijger in Amsterdam. 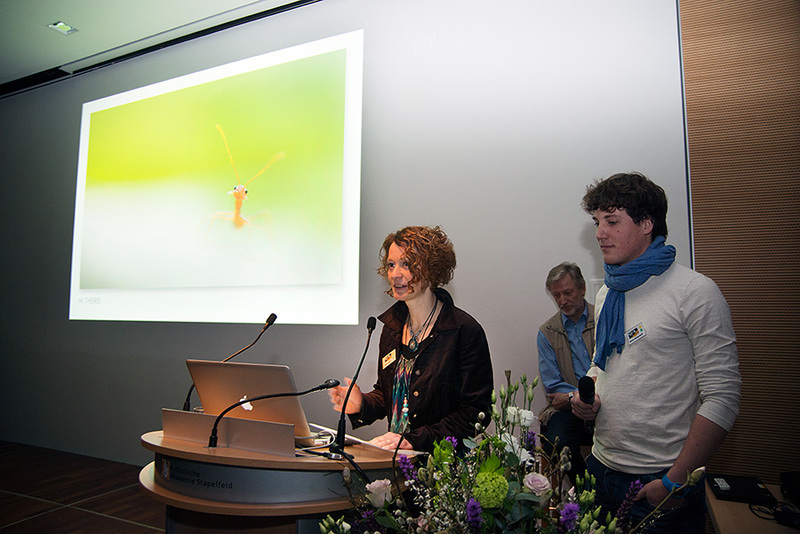 This day will be completely focused on macro photography and will be filled with inspiring and practical lectures, presentations and seminars. I will be among the participants and will be giving a presentation in which I have the honor to be interviewed by my much appreciated and talented colleague Johan Van de Watering (who himself also will be giving a presentation). I will be doing some explanations about my working methods and I will be showing some audio visual presentations. Read more about the program here. 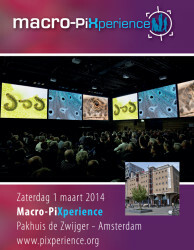 During the Macro PiXperience on March 1 the new Praktijkboek Macrofotografie will be presented. 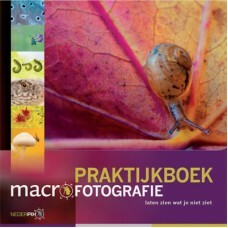 This macro book of Birdpix and Nederpix is telling and showing all ‘ins and outs’ about macro photography. It’s written in Dutch and it counts no less than 192 pages. There also will be a small interview with me in the book. More info about the book here. Words can not describe my joy about my first solo exhibition. What a pleasure it was to see all the 41 images printed on such a large format (90x90cm) in real! The used printing technique is called uv direct print on alu-dibond and is provided by the photolab CEWE color in Germany. I have to say, they did a great job. The colors were absolutely stunning. 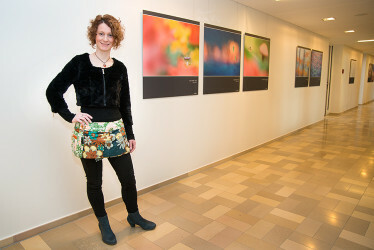 Willi Rolfes and Dr. Martin Feltes helped me with the hanging and combinations of the pictures. And then there was the opening of the festival and my exhibition on Friday evening Februari 14. It was a bit unreal to see all these people looking at my pictures and asking me all ins and outs about them. I received so many positive reactions, for which I was so very grateful. Thank you all, you were great! Can you tell I am proud? 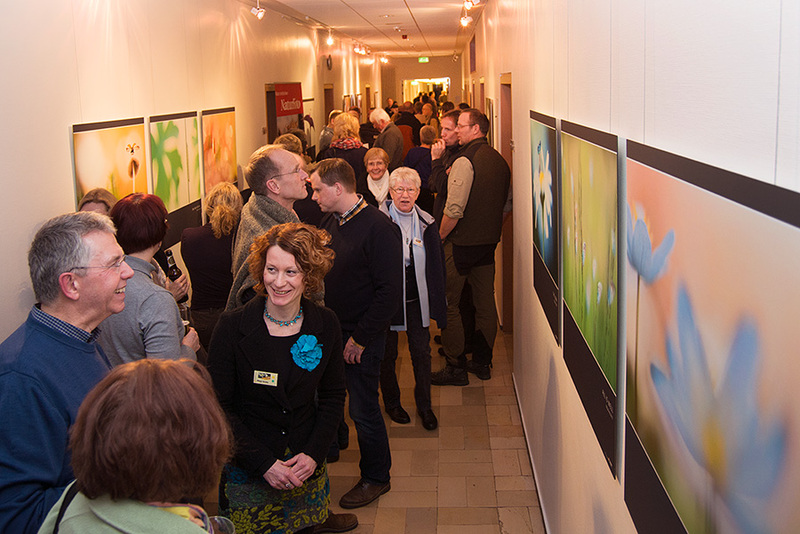 The exhibition will last until April 30 2014. Entree is free and visiting is possible during opening hours of the Academy. Visiting address: Katholische Akademie Stapelfeld, Stapelfelder Kirchstraße 13, 49661 Cloppenburg, Germany. What a week-end that was! The Stapelfelder Fototage are now one week behind us. Willi Rolfes and Dr. Martin Feltes had it all sorted out so well. The program was filled with great and interesting participants. 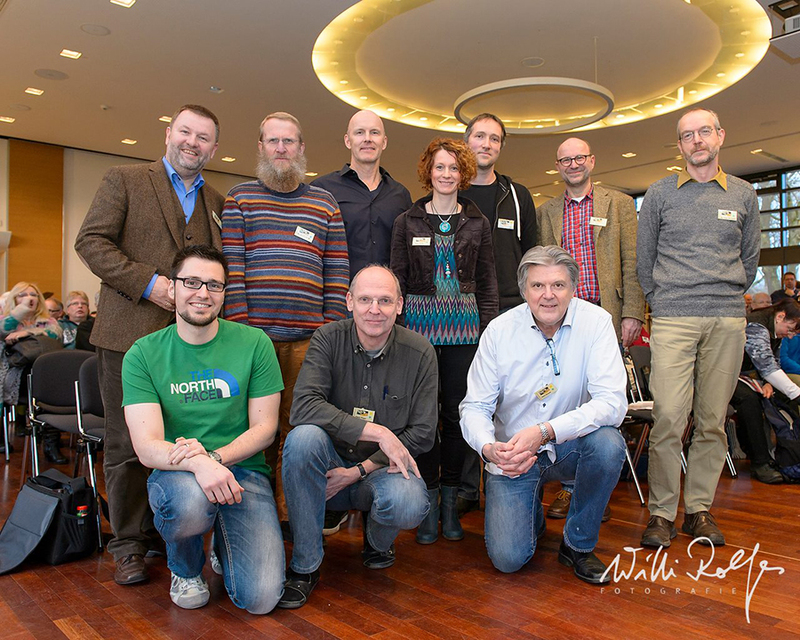 It was such an great honor to be among these lectures and photographers. I enjoyed everyone of them. Thanks a lot for sharing your pictures and stories! 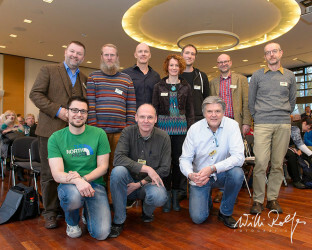 From left top to right under: Willi Rolfes, Dr. Martin Stock, Stephan Tüngler, Misja Smits, Dieter Damschen, Dr. Martin Feltes, Dr. Peter Wernicke, Stefan Christmann, Klaus Nigge, Hans Strand. Luckily for me there was Kevin Winterhoff who was willing to translate me. I had therefore the privilege to speak in my own language Dutch, and Kevin translated my words into German. And don’t forget about Karl-Heinz Georgi, the man sitting behind us. He was the man of the techniques, and he did great. Thanks to him every presentation went smoothly and without complications.